NOTICE: Thank you for your interest in fall dog sledding. We have not started our fall training yet and we are not ready to schedule reservations. We will post here when we are ready. 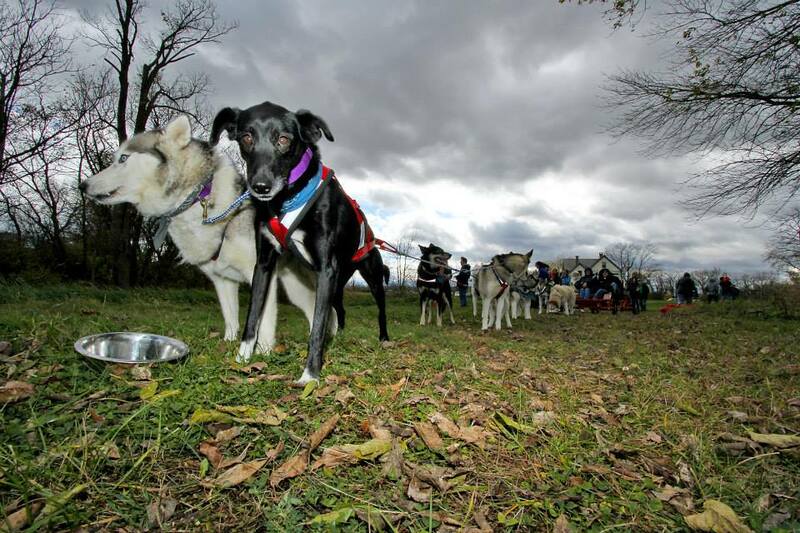 Enjoy a fall excursion with our dog sled team before the snow falls! We have a new touring cart designed for comfort and safety. 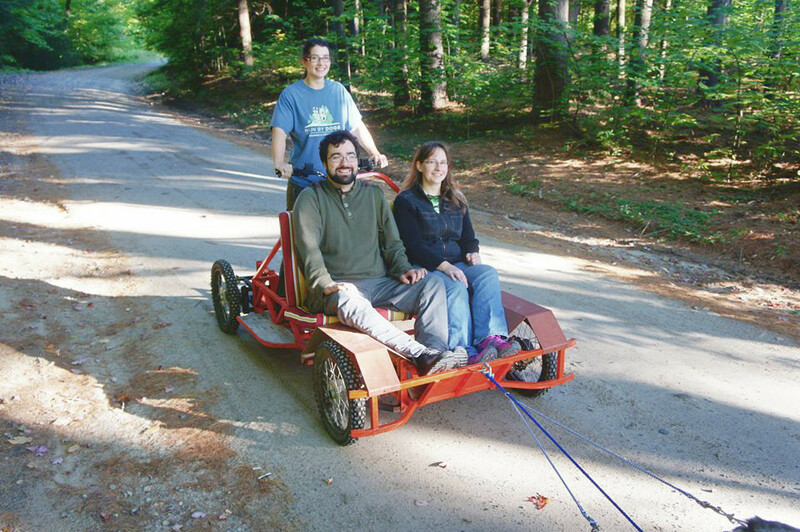 The perfect way to go Adirondack leaf peeping! Contact us now to reserve your fall touring excursion. Our excursions have a 400 pound weight limit with any combination of passengers. To reserve your excursion, a 50% deposit needs to be paid at time of booking. Tours are to be paid in full the day of your outing and may be paid by cash, check or Paypal. Cancellations less than 14 days prior to your tour result in a 50% charge. A no show will result in a 100% charge. Deposit may be used for a reschedule or toward a gift certificate. Considering contacting Kate for services? Read our FAQ page: Frequently Asked Questions. Training - Enrollment Portal Sign up for dog training through the online portal. 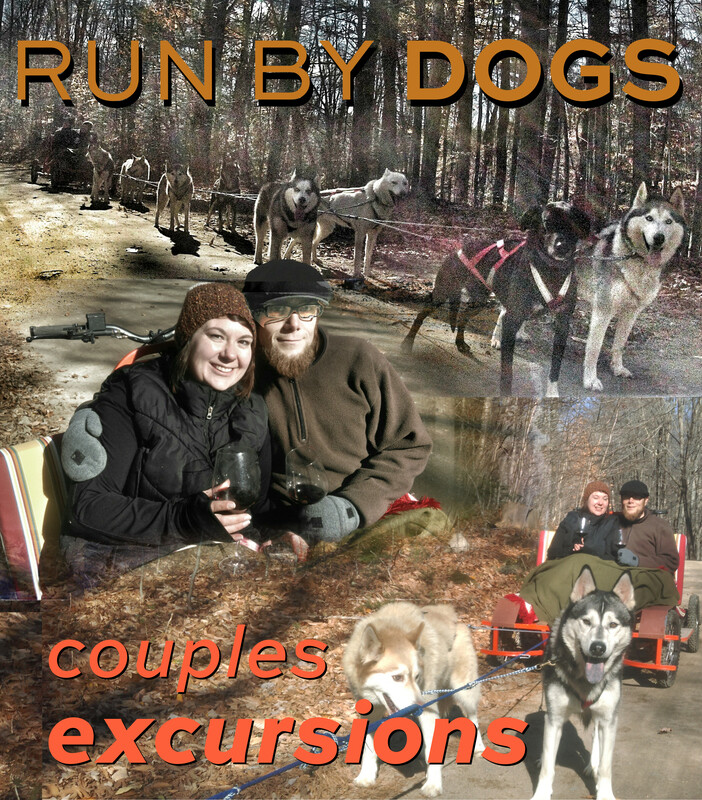 Dogsledding - Reservation Calendar Schedule dogsledding / wheel runs and kennel tours. Educational Events - Email Schedule by email to request availability for events.